We have raved about hellebores before. But if any plant deserves extensive raving, it’s the hellebore (latin: helleborus). What other cold-hearty perennial flowers early in March – a lot of times pushing their blooms through the snow and ice – has waxy, shiny, evergreen foliage that add texture to any garden, are deer resistant, self-seed quite readily, and have so many beautiful varieties to choose from? Answer: none. Which is why every garden should feature this early spring bloomer. Also hellebores are the best deer resistant alternative to hosta. They thrive in the same conditions, they have beautiful, textured foliage and as a bonus they bloom in March! The flowers often dry green on the plants, and the ornamental papery blooms remain – sometimes as long as August. At Victoria Gardens we carry trees, shrubs, perennials and annuals. And that’s how we think and talk about the plants in our nursery. But every once in a while we are reminded that as a home gardener, that’s NOT how you talk. And they give us a sidelong glance, like, why didn’t you just say bush, then? This is an amazing shrub, called Vitex. I think when people start gardening, there’s “green stuff,” “bushes,” and “flowers.” As you learn more about plants, you can’t help but LOVE them more and more. And you begin to see subtle differences, not just between colors, but textures, form, and growth habits. Below is a decoder ring, for the next time you are speaking to one of us, or if you want to increase the depth of your plant knowledge, or if you are just plain curious. But, from a horticultural standpoint, ‘bush’ and ‘shrub’ do not mean the same thing. Now a shrub can be as tiny as a dwarf ‘Tom Thumb’ cotoneaster, which only gets about 12 inches wide or a shrub can grow 8 to 10 feet tall like a lilac. We have other confusing industry terms. “Plant material is…plants.” And they give her a sidelong glance, like, why didn’t you just say plants, then? **Some perennials have LONG blooming periods–some from May to September–but they are the exception, not the rule. ***Annuals bloom all summer long and complete their lifecycle within one season. Their job is to produce seeds, so they produce a lot of flowers again and again to complete their reproductive mission. Annuals give you a big blooming-bang for your buck, even though they die when the frost comes in fall. ***”Woody plants”–trees and shrubs–usually have bark as a defining feature. Great garden design is accomplished with a tapestry of different shapes, sizes, colors, and textures. Visit our plant nursery in Rosendale, NY this weekend and feast your eyes on flowers, trees, and shrubs that will not only thrive in the Hudson Valley, but will also inspire you to take a fresh look at your outdoor spaces. We lay the nursery out in areas by what conditions they need: deer resistant shade, deer resistant full sun, wet-tolerant plants, etc. 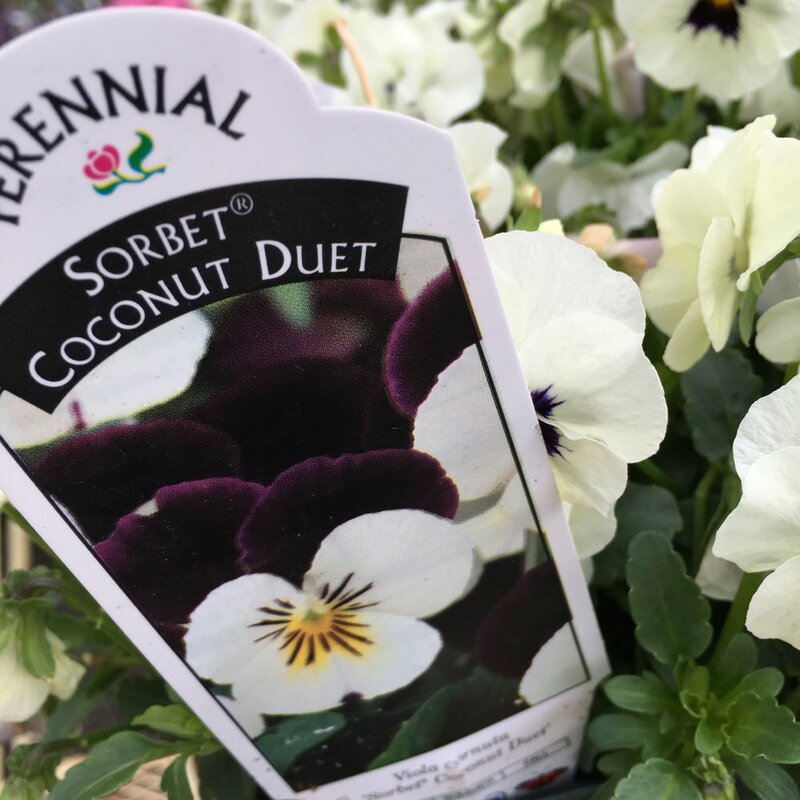 We know this makes for a better shopping experience, because the plants you see together at the nursery can be planted together in the same garden bed once you get them home. We know. It’s so much more than you can see from the road! The heart shaped leaves of this Redbud variety are a dazzling golden green. In the fall the leaves turn a striking orange/yellow. We love this tree planted at the woodland’s edge, where the striking light foliage stands out against the dark forest behind it. A superb, underused plant with unique, early spring bloom. The vivid spring bloom cover the bare branches of mature trees, giving them a dramatic, velvety look. But the real appeal of this understory tree are the heart shaped leaves. Available in deep purple, deep green and golden green, the eastern redbud adds character, texture and structure to a garden bed. As is implied in the name, river birch are well-suited for planting along river banks, and in other spots which can flood for weeks at a time, but they also thrive in normal soil conditions. One of our best-selling trees! Why we love it: This native tree is elegant and performs better in our area than its European cousin. Its bark is not quite as showy, but its form is lovely. We love the ‘Heritage’ variety because of its glossier leaves, but it really shines in a winter garden too, because of its attractive silhouette and exfoliating reddish brown bark. The texture of the bark becomes more dramatic as the specimen matures. The dark outer bark peels, exposing salmon color underneath. Betula nigra is fast growing, and the multi-branch, clumping river birch is graceful and elegant. We especially like the sophisticated look of the multi-trunk river birch planted in a grove. Why we love it: The dramatic exfoliating bark and great fall foliage. Prefers full sun, but will tolerate partial shade. Soil should be moist and ideally acidic. Dry soil will limit this trees growth. The real appeal of this tree is its stunning exfoliating bark. When branches reach 2″ or 3″ in diameter, the gray, gold, and brown pealing bark is a real stand-out as a winter interest. Plus the Stewartia has fantastic fall foliage. Why we love it: This native tree blooms when no other tree is blooming in summer, and with the panicles still on the tree, the fall foliage will knock your socks off. Prefers full sun to partial shade. Can grow in acidic, infertile soil.. The primary attraction of this small deciduous tree is the drooping clusters of fragrant, white blossoms are borne on 4″ to 10″ long panicles. Flowers open over a three to four week period, and then the panicles remain on the tree while the leaves turn yellow, orange and red for a spectacular fall show. The persistent fruit remains on the tree through winter. Why we love it: Long glossy needles and slow to grow, this tree is like no other evergreen. Prefers full sun to partial shade. Likes moist, acidic, well-drained soil. Slow growing tree, but worth the wait. Long glossy needles give this tree a distinct look, different than any other evergreen. Cutleaf Japanese Maple – 6′ to 10′ tall and wide – Zone 5 -A dwarf, mounded, small tree with a cascading and weeping habit. Also called a Threadleaf maple, the leaves are finely dissected (ribbon-like), and comes in many different varieties – too many to name! Visit the nursery in Rosendale, and fall in love with one! Full sun to part shade. Q&A Which annuals are deer candy? And are there any annuals the deer will leave alone? The deer seem to eat my annual containers like candy! Are there any annuals the deer will leave alone? We have a huge selection of annuals in stock, so come in this weekend and pick out some all-summer color for your containers and gardens. If you battle the deer, don’t worry we’ve got you covered! And if you have questions about many of the other varieties we carry, just ask one of the master gardeners who work in the store -they can help you find the right combination for your planter: sun, shade, deer-resitant, drought-tolerant – we have the perfect annuals for you. The Dawn Redwood tree, Metasequoia glyptostroboides, is a deciduous conifer, with soft needle-like leaves that look like evergreens, but are bright green in the spring and brilliant orange/red in the fall. The needles are then shed in winter. Dawn Redwood trees are a very interesting–one of the few deciduous conifers in the world. It is feathery pyramidal in form with a straight, fluted trunk. It grows very fast to 40’ and can grow to 70’. Dawn Redwoods are considered by many to be the Fastest Growing Conifer. Adaptable to almost any soil (except desert sand) can withstand both moderate flooding and drought. Dawn Redwoods can even grow in standing water. Great when planted alone as an ornamental tree or in groupings. A great tree for borders and fence lines. Grows consistently into a pyramidal form and makes an attractive shade tree. Once very hard-to-find, but now we have found reliable growers. At Victoria Gardens, we keep these lovely trees in stock throughout the year and we use them in plantings when ever we get a chance! Corsica mint is one of our favorites, because it is so so fragrant. When you pet the tiny, densely packed foliage, it releases a heavenly, minty fragrance. We recommend you plant a full pot of it near a lounge chair for relaxation and aromatherapy purposes, but it can also be planted in the ground as a steppable ground cover. Use it in iced tea or sprinkle the little leaves over fresh greens. Another one of our favorites is French Sorrel. You need to harvest the leaves before the plant bolts (throws up its flowers) and you can harvest it multiple times through the season. The baby leaves add a lemony bite to fresh salads or a wonderful herb and aromatic to throw in with fish dishes, but French Sorrel soup is the best use of this leafy green! Chocolate mint can be used to infuse milk for homemade ice cream, but chocolate mint mojitos are also a crowd pleaser. Mints have a tendency to take over in the garden, so they are the perfect herb to keep in a container. Cold hardy, perennial herbs—like mint, sage and thyme—can overwinter in pots outside, but more tender herbs—like rosemary—need to be brought inside in the fall or planted a new each spring. Pots of herbs perform best in full sun, but no fertilizers are needed. Most herbs thrive in lean soil and like to dry out in between watering. That said, they can perform just fine in a mixed container if you want to throw an herb in with blooming annuals. We also love the idea of an all edible mixed pot. Here are a few edible flowering plants to brighten up your grill side herb boxes: violets, pansies, and violas. The small, delicate flowers can be used to decorate desserts or garnish any main dish. Nasturtium is a prolific annual with red, yellow and orange blossoms. The flower and the foliage are both pretty and peppery. They make a spicy addition to salads or fish dishes. The thick, juicy petals of Tuberous Begonia taste like lemon water. They can be tossed into salads or drinks for a colorful, tart crunch. You don’t see these commonly used, maybe because most people feel the flowers are too beautiful to eat!